I have no letters or documented proof in my possession for an important personal event in Harold and Walter’s trip to England – only family stories and all that went after. 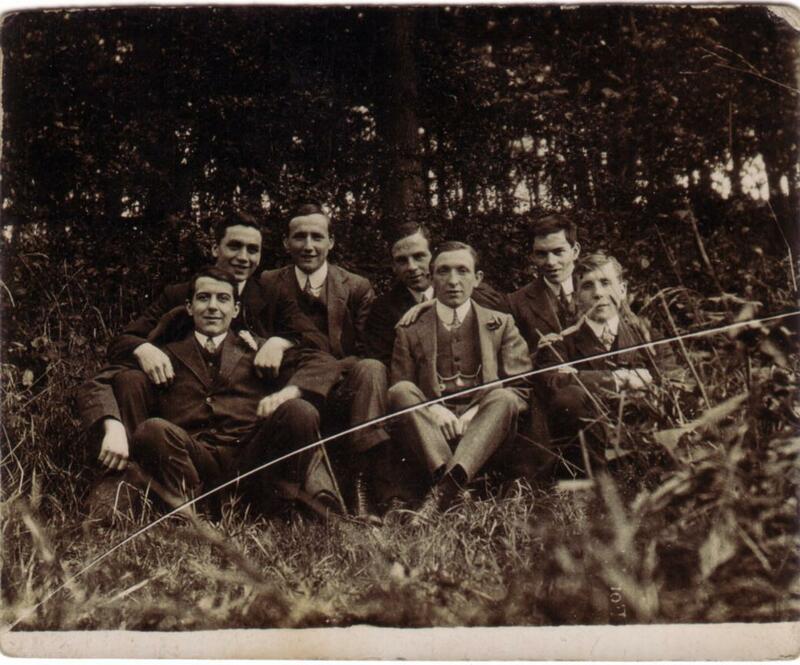 At some stage on their journey, the young men went to Herrington in County Durham and visited the Allen family. The Allen’s were second and third generation coal miners at the Herrington Colliery. Simpson Allen was the head of the house and had been working in the mines since before the age of twelve. In 1911, (at the age of 55 years) he was still working as a Hewer (at the coalface) according to the census. 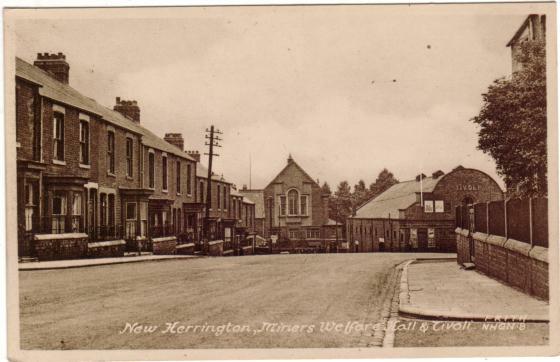 Written on verso: ‘Taken in Herrington Woods’. Joe Allen is seated front row, left. Jim Allen is back row, right. There were ten children in the Allen family – five sons, five daughters. James and Joe were of similar age to Harold, the youngest two, Bob and Kitty (twins) were 6 or 7 years old at the time and Edith, the seventh child in the family was nearly sixteen. A young Edith, date unknown. Edith was a bonny lass and very popular. She enjoyed the social activities at St Aidan’s church where most of the young people in the area gathered for tennis, dancing etc. She met her future husband Harold Gillespie, early in 1914, prior to the War. He had traveled to England with Mr Cripps who was serving as Anglican priest in Harold’s home town. Mr Cripps was originally from Durham, and he introduced Harold to the Allen family. Of course we now know several details about Walter are not accurate; he was from Brighton and was a layman/student when he travelled to Canada (he would eventually be ordained there in 1920). So how he came to know the Allen’s and their town in County Durham is something of a mystery, but he did know them well enough to visit and, he introduced Harold to the family. There is no consistent version in the family stories so we don’t know if romance blossomed immediately or if it happened when Harold returned as a soldier. Either way, I can’t help but think this first meeting must have had some weight on decisions that were to come. 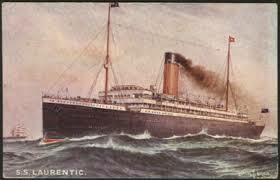 On July 4th, Harold and Walter sailed back to Canada on the S S Laurentic from Liverpool. They docked in Quebec and disembarked on July 12th. According to Harold’s postcard, Walter had to get straight back to his calling in Lethbridge. Three weeks later Britain declared the country was at war with Germany. This entry was posted in Historical Perspective and tagged 1914, Allen's, Coalmining, County Durham, England, Herrington, history, St Aidan's Church, travel on August 23, 2015 by Catherine Hainstock.